Hmmm, no reviews here, El. Great trades are fabulous! Glad to see you got what you wanted. And yes, wouldn't it be amazing if more authors/publishers toured DC/Baltimore? I'm in the same area, and I find there are so few events around here. Figured it must be due to being in between NYC and other major cities to the south, always seem to get skipped in those circuits. Oh nice! Glad to hear when trades go well! It seems too often I see horror stories of scammers. But good trades always make me happy though! I feel you though on authors not always coming to your city. They rarely come to mine either. Though the past few years have had more signings than I ever thought possible! And there are still at least two more to come this fall that blow my mind since both authors have visited our city already. It seems if they come once they never return. By the end of the year this would make a total of 4 authors who've come to my city more than once in the course of my reading lifetime! Lol! Hope you enjoy your new lovelies! Reign of Earth is one I'm keeping my eye on since it sounded intriguing at first glance! Happy Reading! I've been trading longer and more than most people and I've only had one bad trade (which ended up not being too bad though). It's a great thing if you have a good instinct. oh I just love the cover of Bitterblue. Looks like you grabbed up some great books here, hope you enjoy them darling. Now that's a dedicated fan. My sister in law loves Cashore, too, and tsk-tsks me that I haven't read her books yet. And I'm so sorry the week started out rough, but I am glad it ended well. Oooh! You got Reign the Earth! I hope you enjoy it! Great haul this week! I tried to read The Hearts We Sold and it just wasn't working for me. Don't know if it was my mood. Great stack of books this week. I hope you love all of them. Awww, I'm sorry. Better luck next time. Thank you, Grace! It does! I didn't totally love the Scarlet trilogy but I'm very excited about this new series. 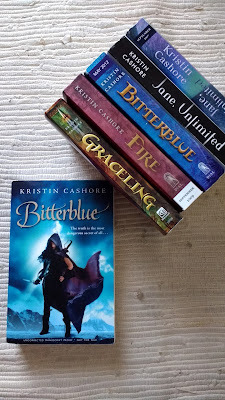 I adore Cashore's books and am so happy to have a full set of her ARCs and hardcovers (soon, when my Jane, Unlimited preorder ships)! That Bitterblue book is so gorgeous! And Reign the Earth sounds amazing. Happy reading! It really is! 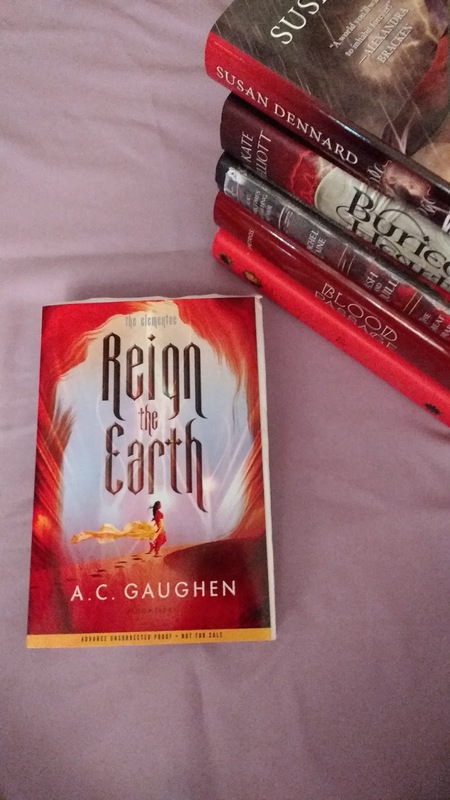 I'm looking forward to reading Reign the Earth. Thank you, Teresa! It wasn't too bad, after Monday! OMG Carina this was one of the best trades I've done. So happy to have all of the ARCs now (at least, that we know of). 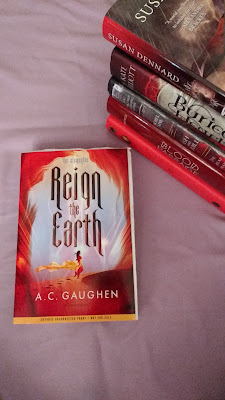 =) I'm excited about Reign the Earth! Hopefully it is great. Thank you, Carina! I've seen The Hearts We Sold around a couple of blogs now, and I'm getting curious! Hope you enjoy the new books, and I'm glad your week picked up! I loved it! It was very interesting and engaging. Thank you, Nikki! I love that art on Reign the Earth ! And glad to hear that The Hunting Groun was good too- another cool cover. 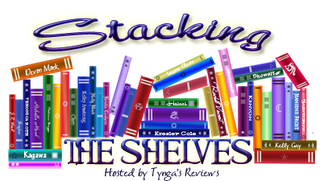 That is amazing to hear you got all of Cashore's arcs! I badly need to read Bitterblue. I loved Graceling, but then I never read the sequel! Reign the Earth looks really good! Looking it up on goodreads now. :) Great haul Alyssa! Here's hoping Cashore has that tour for you! Looks like a good haul and love that you had a positive experience with the trade. Have a great week. Glad you got the ARC, that's a cool story :) following you on IG! Bitterblue is gorgeous! I read Graceling way back right after it published. I remember loving it, but for some reason I didn't pick up the rest of the series. Maybe I will try reading them on my vacation in August. Wow, pretty impressive Cashore collection you've got going on there. I haven't read any of her books yet but Jane Unlimited really appeals to me so I'm looking forward to reading that when it comes out.